This is the solid-color, poly-foam, five-panel structured snapback hat from OTTO Caps. For decoration, you can choose several types of film, including: metallic foil, glitter film, and standard film. If you would like to get your design printed in ink (if you are uploading an image, for example), please see our other hats. This trucker hat has the classic mesh sides and back for maximum breathability. It also has the classic snap closure at the back. 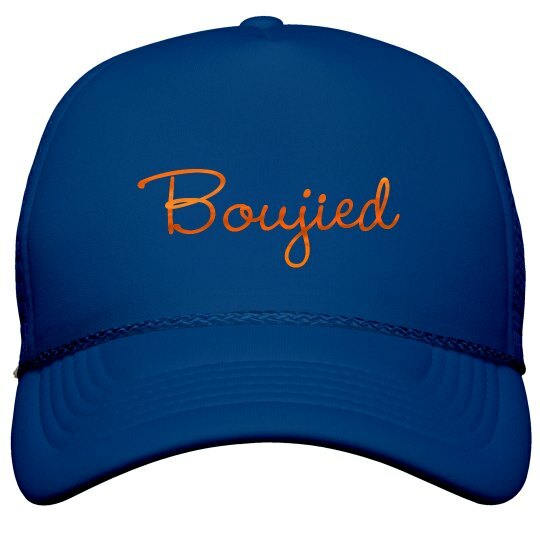 Boujied with metallic orange text.